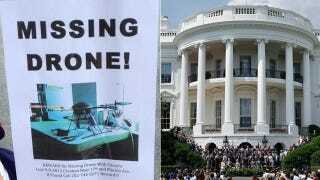 A drone went missing last Friday in Washington D.C., and it has not been seen since. Its owner, a one Adam Eidinger, told Salon that he uses the device to take aerial videos of Washington, D.C.
Last Friday, Eidinger informed me that he wanted to take a short video of a festival in Adams Morgan, and was flying his quadcopter from a rooftop on 18th Street NW. A huge gust of wind blew it too far south and Eidinger quickly lost orientation. The copter was almost 5,000 feet away from him, and he couldn't tell which way was forward and which way was backward. When his remote loses contact with the drone, says Eidinger, the copter is programmed to slowly descend on its own-a "safe landing mode," which prevents it from simply falling out of the sky and crashing. So it's possible that the quadcopter is sitting on a rooftop somewhere in the area-maybe even on your rooftop (have you checked?). Eidinger doesn't think it has fallen in a public place, because he says he canvassed the whole area and had no luck. Not a large Predator, Eidinger's quadcopter is 2 ft x 2 ft and made in China. Eidinger, who customized the drone himself, estimates its worth at about $700.